Cuts, their Reasons and Quality. 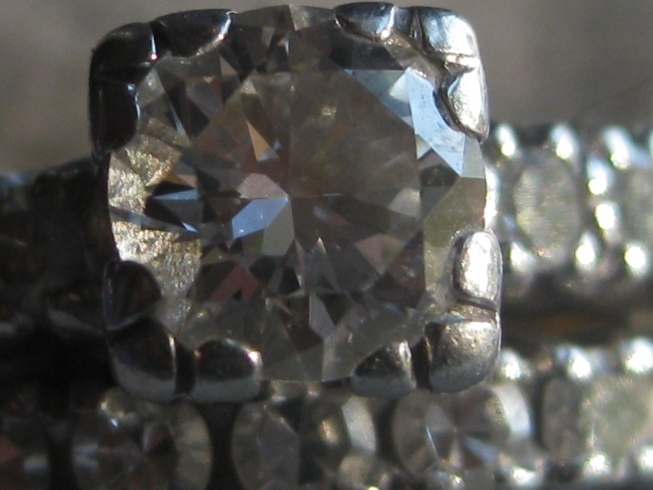 Any and all Gems are almost always cut, to enhance their beauty and display their color. The Rose cut is designed to show the color of the stone and make the facets (cuts) look beautiful, like a Rose, and is usually used on a Sapphire. 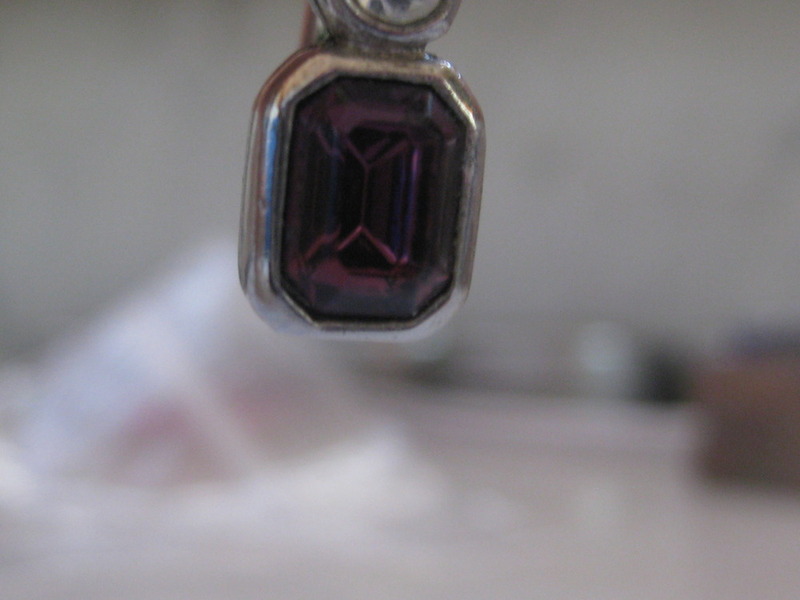 The Step cut, also known as the Emerald cut, is made mainly to show the Color of the stone, which is ideal to use on Amethysts (as in the photo) as well as the usual Emerald (as the name proves). The Cabochon is a dome, Star Sapphires must be cut as Cabochons to see the the star, and opaque stones, such as the Turquoise in the picture are almost always cut as Cabochons because for any of the other cuts, light must be able to travel through the stone to have any effect. 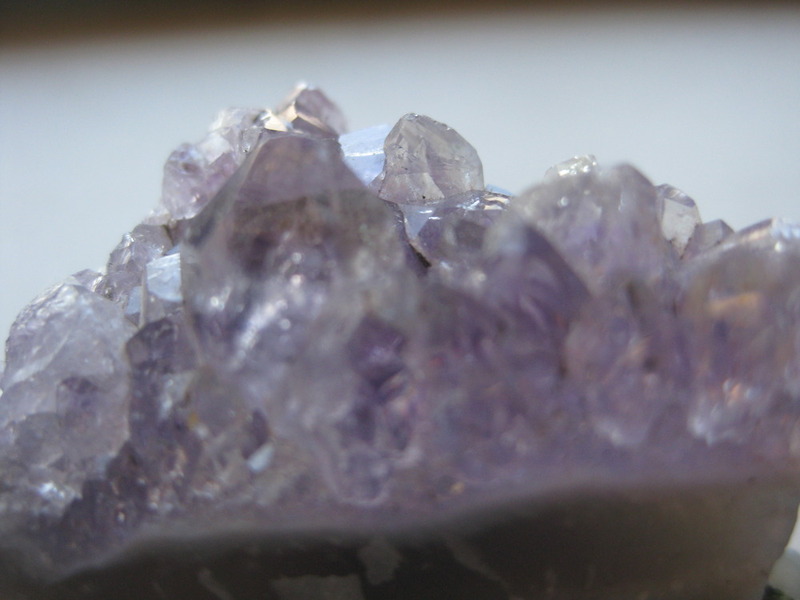 I am in a club that grinds stones into Cabochons, and I have made a few already, but I will blog about that later. 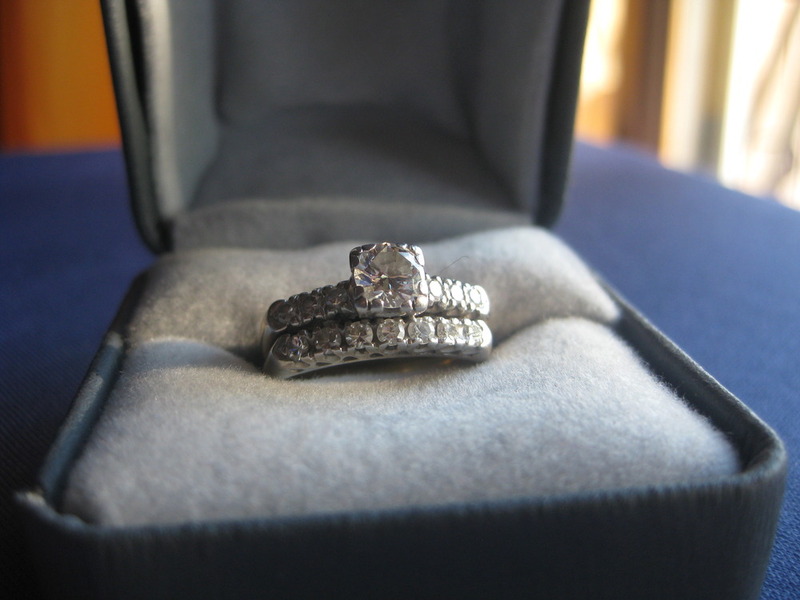 These are the four main cuts, and the stones in your jewelry will be most likely be cut in one of these. This entry was posted in Uncategorized on July 25, 2010 by Captain Belaq. Sapphire is the birthstone of September. A royal, strong blue color, it is the sister of the Ruby, both being a variety of Corundum, one of the hardest minerals known, actually, any Corundum that is not red (Ruby) is a Sapphire; so Sapphire comes in orange, yellow, pink, and lots of other colors. But to keep it simple, let’s just call blue Sapphire plain Sapphire, and yellow Corundum Yellow Sapphire, E.T.C. 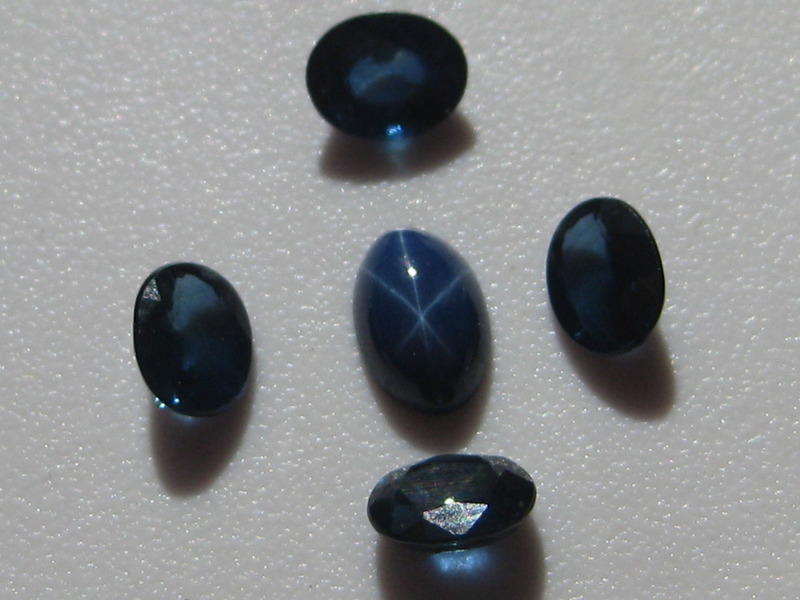 The center Sapphire is called a “Star Sapphire” the six pointed star is formed from flaws in the center of the stone, the star only being seen because it is cut as a “Cabochon”, a dome, so the light can be evenly “distributed” (though I don’t know how the Lapidaries (Gem cutters) know where the Star is). Sometimes this can be seen in a Ruby, but that is uncommon. The ancient Persians believed that the earth stood on a giant Sapphire, the reflection of which you can see in the sky. Though I think, at sunset, you can look over the Emerald trees, and see the top half of a brightly shining yellow Topaz, “wrapped” around in a Citrine blaze, lined with a ribbon of Carneilian, with a short expanse of Ruby, then an Aquamarine framing that. The rest is an expanse of Sapphire, in the middle of which is a shimmering Moonstone, sending a pale light to the Earth below, on the opposite horizon is a black Opal studded with Diamond stars. 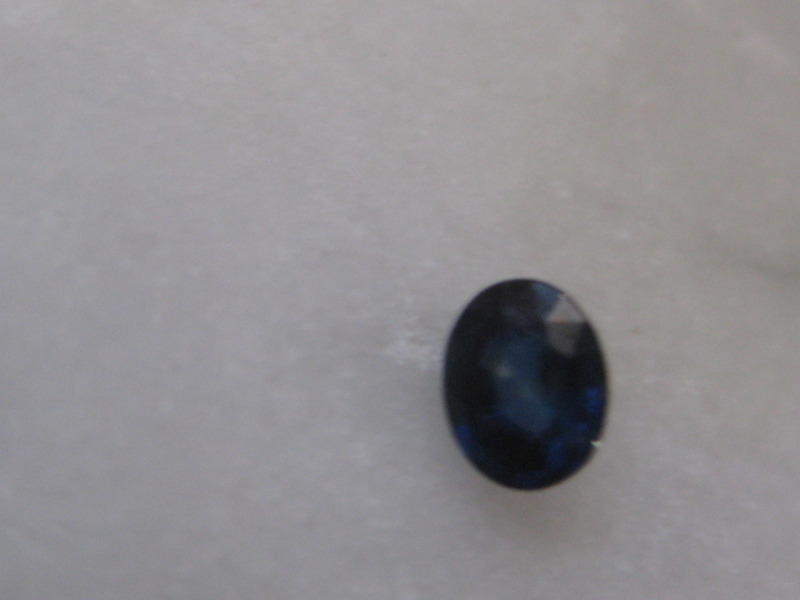 The Sapphire is quickly becoming one of my favorite Gemstones. This entry was posted in Uncategorized on July 24, 2010 by Captain Belaq. Gold is Going up in value! The value of Gold has lately been steadily rising. And yesterday we were at “Chuck’s Coins” (a shop in Redding thats sells some Jewelry as well as Coins) and while were there, (My brother Jonathan was buying some Coins) I inquired about some Gems, “Chuck” the owner said that lately, since the price of Gold is going up, people have been Ripping Gems off their Gold Jewelry to melt down the Gold for It’s value! Which, he said causes the gems to go Down in value! 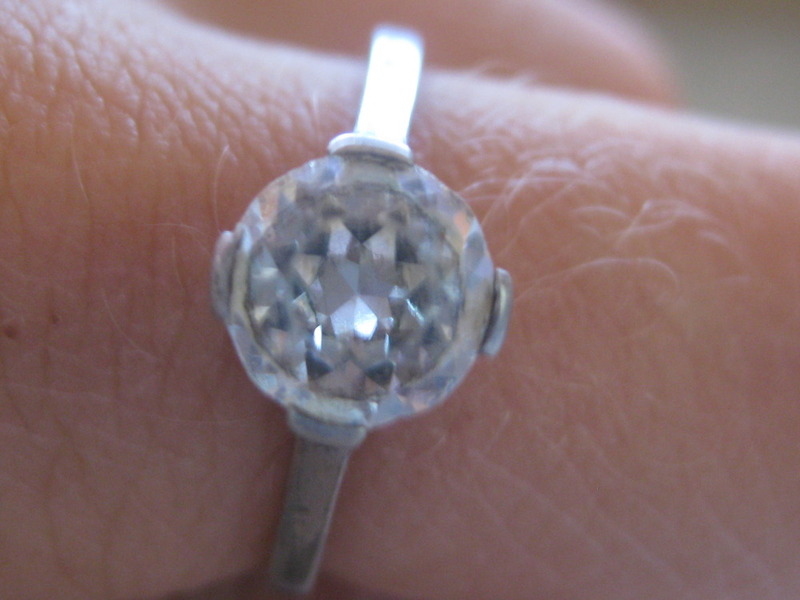 Although that may be good for me, a good piece of Jewelry ought not to be destroyed, whatever the value. So don’t let me catch you ripping off Gems from your Necklace! This entry was posted in Uncategorized on July 21, 2010 by Captain Belaq. 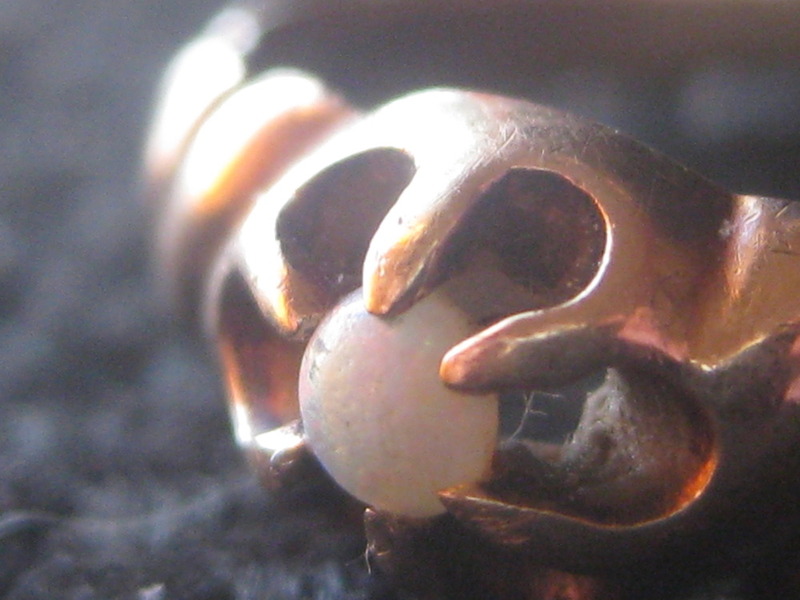 Opal is the Birthstone of October (my younger brother Nicholas’s and younger sister Noelle’s birthstone) . 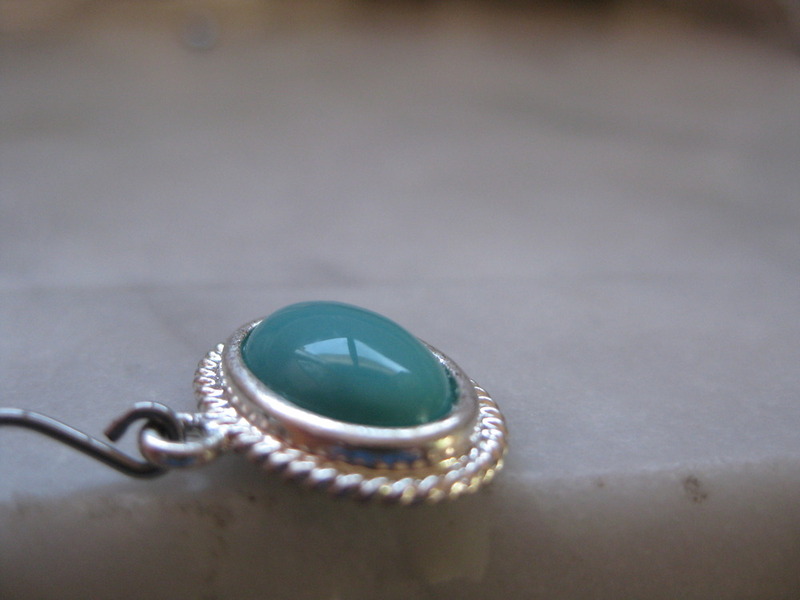 It usually has a blue-green hue that reminds me of a shining star. Many people used to think that Opal was unlucky, but I think It’s one of the most beautiful stones known. The ring in the picture shows one of my favorite ways of holding stones. I call it the Dragon claw hold (you can see why). There are two main types of Opal, Black Opal and White Opal. The latter being shown in the picture. 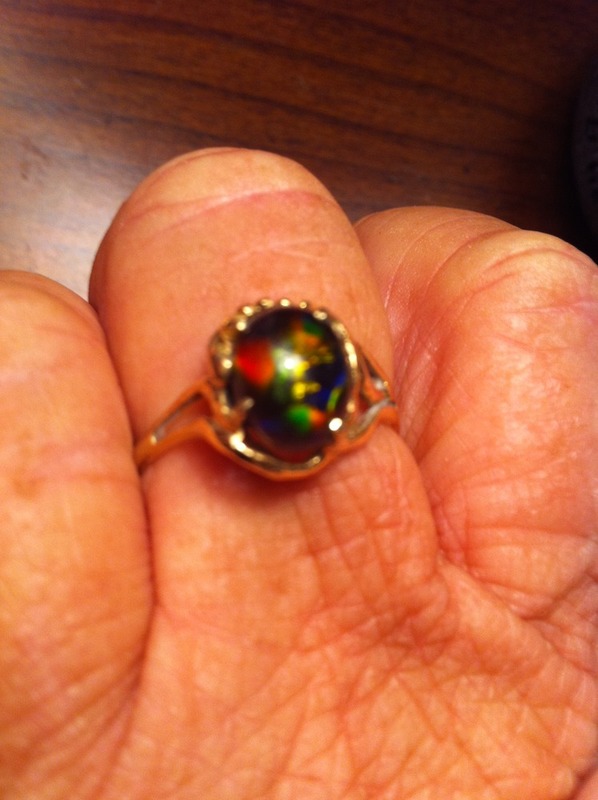 Black Opal is darker, prettier, and rarer than White Opal, I just added a picture of Black Opal (the ring belongs to my Mom’s midwife). This entry was posted in Uncategorized on July 10, 2010 by Captain Belaq. Garnet is the birthstone of January (my brother’s birthstone). A beautiful very deep blood- red, it is my favorite red stone. It also comes in green, known as “Demantoid” the deep red type is usually “Pyrope” or “Almandine”. it is usually found in Bohemia in northern Europe. 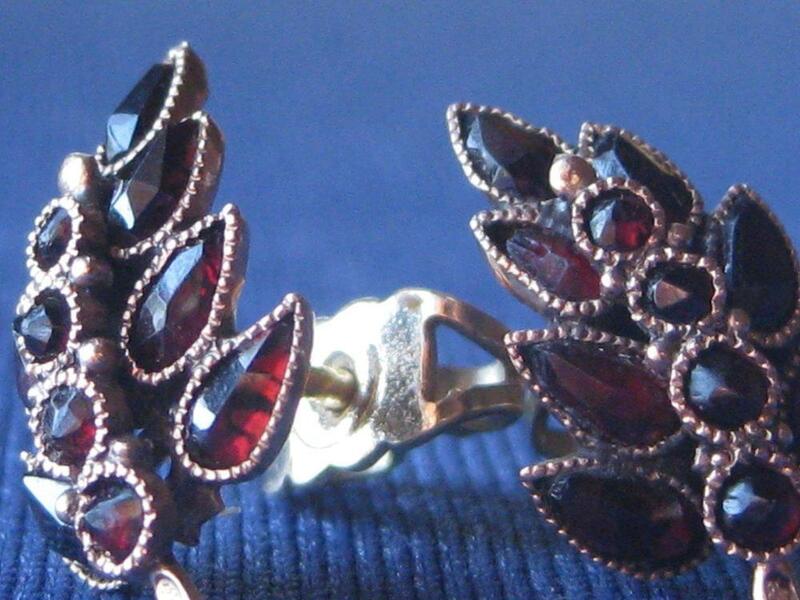 My mom got the pair of earings shown in the picture from my great grandmother in Holland. This entry was posted in Uncategorized on July 4, 2010 by Captain Belaq.